Darche Steel Ranger Single - $229.00 : Hawkesbury Toolworx - Tools, Farrier Supplies & Outdoors - Specials- For an extensive range of tools for all types of tradesmen and all your farrier, hunting and ammunition or outdoor supplies. Darche Steel swags are cooler, specifically coloured grey to reflect the harsh Aussie sun, keeping you comfortable all year round. 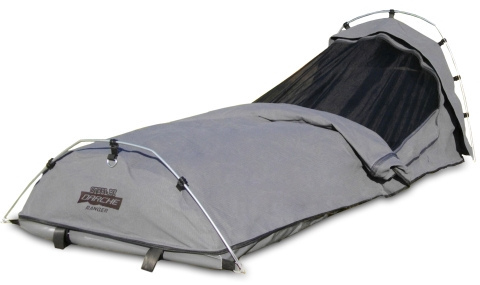 All "Steel" swags contain a waterproof PVC base and self-repairing coil zips. Ranger & AWOL models are also fitted with a super-fine insect mesh. 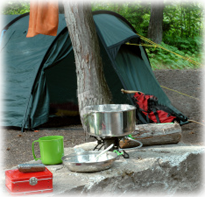 All Steel by Darche swags are built to last, no matter where you camp. - 50mm high density covered foam mattress. - Mesh window at head with storm flap. - High tensile alloy head pole. - Two internal storage pockets. - Full zip on storm cover.